Bryan Jeffries has been in the Fire/EMS service since 1991. He serves currently as a Captain/Paramedic for the City of Mesa Arizona Fire Department. 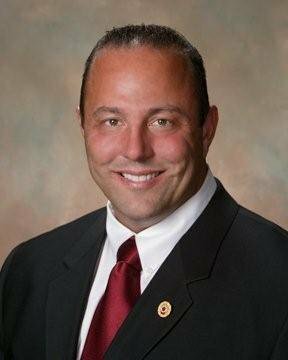 Bryan is also the Union President for IAFF Local 2260, representing Fire Fighters in the City of Mesa, the Town of Gilbert, the Apache Junction Fire District and the Salt River Pima-Maricopa and Fort McDowell Indian Communities. Bryan also serves as the Executive Vice President for the Professional Fire Fighters of Arizona. Bryan is a former City Councilman for the City of Phoenix in District 2. Legal and Ethical studies from the University of Baltimore in cohort with the National Labor College and he is a graduate of the Trade Union Studies program at Harvard. Bryan has spent the last decade involved with numerous endeavors including co-authoring the Arizona Fire Service Labor Management White Paper, brokering a multitude of “Meet and Confer” agreements throughout Arizona, consulting on numerous labor/management projects and speaking at various Fire Service leadership forums. Bryan has been married to his High School sweetheart Lynn for 21 years and they share their lives and furniture with 2 spoiled rotten Labradors.